Made from new pure wool, the wool coffins are handmade in Yorkshire by Hainsworth’s. 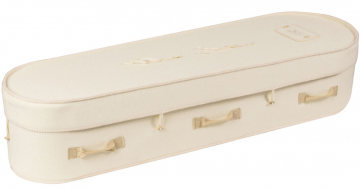 The wool coffins are strengthened with a sturdy recycled cardboard liner. Available in a selection of colours, these offer a softer alternative to traditional coffins. 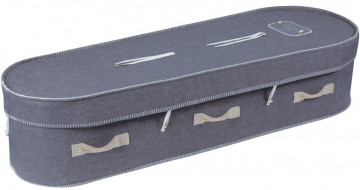 The Hainsworth Wool coffin is an oval shaped coffin made from english wool, reinforced with recycled cardboard. 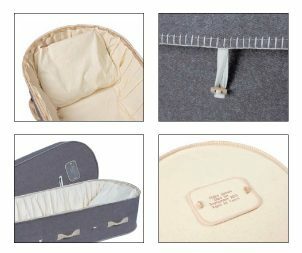 With beautiful detail including the embroidered name plates and toggle fasteners, the wool coffin is a natural alternative to a traditional coffin. Available in a selection of colours. Shown here in white and Limestone Grey.